This challenge will kickstart your inspiration and get you writing. Fast. You don’t have to come with ideas – we got the prompts! I got you covered – each day, we’ll all be writing to pre-made songwriting prompts. You don’t have to wait for a great idea to come to you. 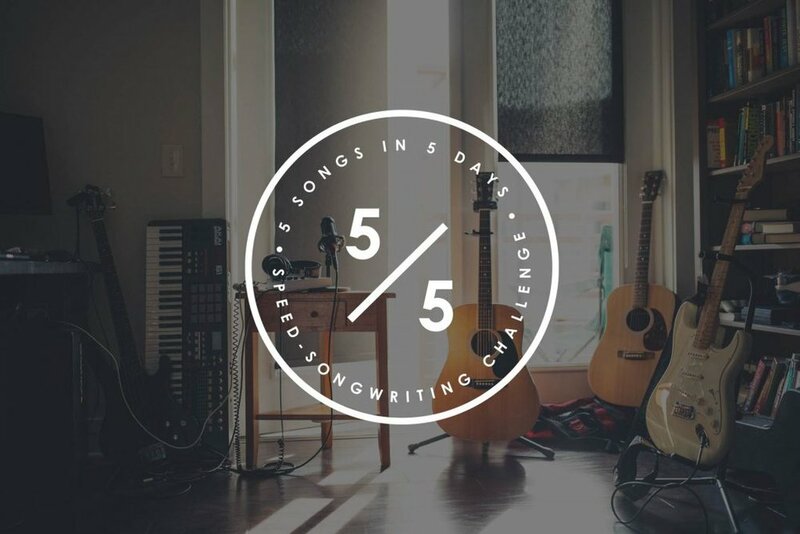 This is a fast-paced, speed songwriting challenge. You’ll have 24 hours to write a complete song. The best way to do that is to sit down and knock it out in 30 mins – 1 hour, or write it in the gaps of your day. You’re lonely. You feel like you’re writing in a vacuum and really wish you had like-minded people to share your work with. You want to get good. FAST. Your negative internal dialog has gotten out of control, and you really want to prove your inner critic wrong. You want to kick bad habits out of the writing room. You have an EP, show, tour, or other project coming up that needs a lot of songs. If any of this sounds like you, come join in on the fun! THIS IS THE QUICKEST WAY TO KICK YOUR INNER CRITIC OUT OF THE WRITING ROOM! After this challenge, you’ll have learned how to write quickly and effectively despite your mean little inner critic! When you join, you’ll get access to the private challenge Facebook group. Each day for 5 days, I’ll post a unique song prompt. Your mission for that day is to write a completed song to that prompt, then come back to the challenge Facebook group and share it! (Sharing is totally optional, but it’s a wonderful way to gain feedback, make friends, and conquer self-doubt). You can submit songs that include music and lyrics, or lyrics only. Many writers even participate with their favorite cowriters! You can participate in the challenge just to have fun and push yourself, or you can also choose to submit your songs to the contest portion of the event for fun prizes! If you want to come have a great time with a bunch of other awesome songwriters, save your seat today! The challenge kicks off on Sept 10th, so get in early and reserve your spot by signing HERE. I'm Sarah, nice to meet you! I'm from central Florida, I live in Nashville, and songwriting is my obsession. Writing has been in my blood ever since I can remember. I started writing stories in middle school. They were pretty bad. They were about stupid stuff like alien abductions, ghosts, and all sorts of dorky sci-fi cliches. But I loved it - writing my odd short stories was freeing. From there, my obsession progressed to include poetry, lyrics, piano instrumentals, and finally, when I put it all together - pop songs. I haven't put down the pen since. Share this post and invite your friends to the challenge! If you’re getting started in the music business… read this!